The Republican tax cake is finally baked, and it is top-heavy. The nonpartisan scorekeepers at the Joint Committee on Taxation affirmed that Monday, but you didn’t need a distribution table to gather that the measure is lopsided: It was evident well beyond Washington, as Wall Street exulted while likely voters again registered their disapproval. Republicans are wrapping up work on the bill this week, with the House set to pass the final version today and the Senate primed to follow suit as soon as today. So it looks like President Trump will deliver his Christmas present to voters as promised. The stories Monday remained the same, and taken together they represent a cautionary tale for a party hoping the bill will salvage their political hopes: The latest official analysis from JCT shows the package’s benefits for the middle class are both slim in context and temporary; another poll reveals public attitudes remain commensurately sour; and it was another banner day for the stock market as investors anticipated the profit-boosting corporate cut at the heart of the plan. 10 percent. The share of the tax cut going directly to the middle class, according to a new JCT look at the blended package that House and Senate negotiators forged last week. Middle-income earners see limited benefits in part because they’re sharing the spoils with a much narrower band of people at the top of the economic heap. 12 percent. The share of the cut going to those making $500,000 or more, a cohort that makes up 6 percent of the population. Slightly less than half of the $1.5 trillion cut goes to corporations in the form of a newly slashed 21 percent tax rate. 70. The number of record closes the Dow Jones industrial average has notched this year. 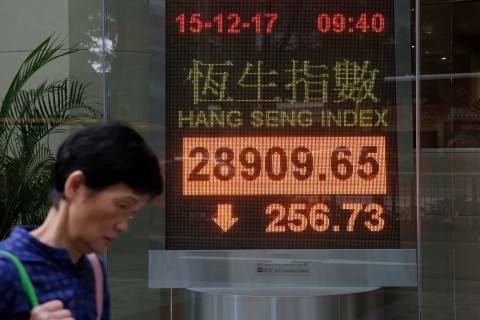 The Dow set the high-water mark by leaping 140.46 points Monday to close at 24,792.20, a rally market watchers chalked up to excitement over impending tax cuts. The Nasdaq and S&P 500 also hit record highs. 56. The number of tweets President Trump has sent celebrating the stock market rally since taking office. 18 percent. The earnings bump that Wells Fargo could see as a result of the bill, according to a new analysis by Goldman Sachs. 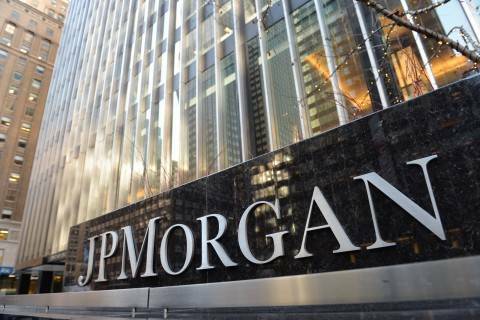 The research found the troubled lender would make out best among the nation’s seven largest banks, “in large part because it derives nearly all of its profits from the United States,” per CNN Money’s Lydia DePillis. 27. The number of tweets Trump sent as a candidate bashing opponents for their ties to the financial services industry. The proportion of the population with a vested interest in the market jumps to just under half accounting for those with 401(k) retirement plans — but the remainder won't be moved by Trump's new sales pitch. As Bloomberg Toluse Olorunnipa writes, "Trump is trying out a new campaign slogan: “How’s your 401(k) doing?” The answer for more than half of Americans is that they don’t have one. Trump has tested out the line this month at a fundraiser, a campaign rally and in a White House meeting, predicting that the rising U.S. stock market will help him win re-election. But only about 45 percent of private-sector workers participate in any employer-sponsored retirement plan, and the lower-income workers in Trump’s political base are the least likely to hold money in such an account, according to the Government Accountability Office." 50. The number of Senate Republicans committed to backing the bill. An ailing Sen. John McCain (R-Ariz.) will miss the vote, as he’s returned to Arizona to recuperate from his latest round of chemotherapy. And his junior colleague, Jeff Flake, hasn’t yet declared himself. But with Vice President Mike Pence delaying a Middle East trip to be on hand if necessary, the GOP already has the support it needs in the upper chamber to finish the job, after the House votes today. Then the party will turn to the task of selling it to a skeptical public. 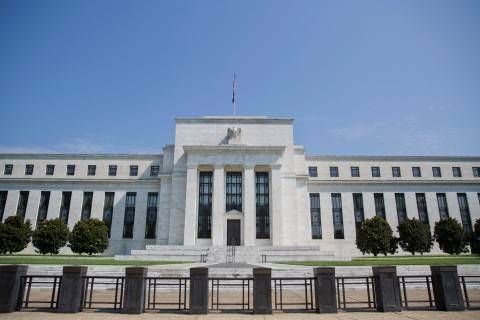 The Federal Reserve published a fresh set of economic forecasts last week covering the next three years. Economists have been trying to make sense of the 2018 outlook ever since. 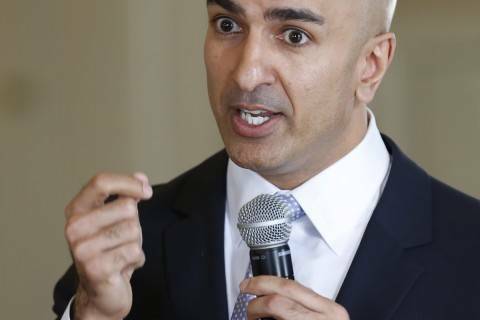 Minneapolis Fed President Neel Kashkari warned that bad things may lie ahead for the economy if his colleagues at the U.S. central bank press forward with interest-rate increases. 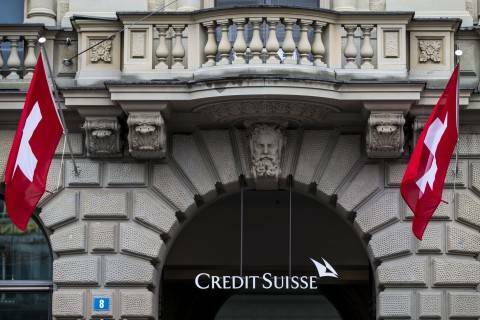 A mammoth tax package coming in the U.S. will add pressure on Asian central banks to tighten while aiding the region’s exports, according to Goldman Sachs Group Inc.
— Ultra-rich do better than merely rich. NYT's Andrew Ross Sorkin: "The tax bill soaks some of rich Americans — but it does not soak the richest. It is the “pretty rich” right below that level that may get hit: the W2 employee making several hundred thousand dollars to millions of dollars a year with high state and local taxes that will not be fully deductible may see a higher tax bill. So will the chief executives of many large publicly traded companies who often itemize large, unreimbursed business expenses, which will no longer be allowed. Some executives are already calculating that they will be paying additional seven-figure sums in taxes. OK, you might want to get out get out your smallest violin. The distinction is there, though. If you’re a billionaire with your own company and are happy to use your private jet so you can “commute” from a low-tax state, the plan is a godsend. You can make an assortment of end-runs around the highest tax rates." — Many see hikes by 2027. AP's Alan Fram: "The Republican tax bill would mean average initial tax cuts for Americans across all income lines, but by 2027, it would boost average levies for everyone earning up to $75,000, which includes most taxpayers, Congress’ nonpartisan tax analyst estimated Monday... The Joint Committee on Taxation calculated that in 2019, people earning $20,000 to $50,000 would see tax cuts averaging 10 percent or more. Those making $200,000 to $1 million would see reductions averaging slightly less. But by 2023, people making under $30,000 would see tax increases while those earning more would see their tax cuts get smaller. That pattern would continue. In 2027, a year after most individual tax provisions expire, people making up to $75,000 would be paying more on average than under current law. The committee says around 118 million of the 177 million tax returns are from households making up to $75,000." — Hit on tech's foreign profits. WSJ's Douglas MacMillan, Richard Rubin and Jay Greene: "While most U.S. businesses would pay lower taxes under congressional Republicans’ proposed tax overhaul, some of the world’s richest technology companies might actually see their rates rise. A window into how Microsoft Corp. currently pays a disproportionately larger portion of its taxes overseas shows how the legislation could offset the benefits of returning cash home. The software giant saves billions of dollars in taxes by holding software licensing rights at facilities in Puerto Rico, Ireland and Singapore, where it stockpiles profits and pays low foreign rates. Puerto Rico, while a U.S. territory, is treated as a foreign country under current tax law. The proposed law lowers the corporate tax rate to 21% from 35% but at the same time puts a minimum tax on profits overseas. That setup would likely force Microsoft to pay a minimum 10.5% tax on future offshore profits, removing some of the benefit from the company's offshore facilities, tax experts say. Yet, Microsoft and other tech giants could still have an incentive to shift profits abroad." 'On one hand, you had the deficit issue. On the other hand, you had the economic growth issue,' Corker said. 'I took a long walk on Friday morning and just decided that from the standpoint of, if I were the deciding vote on this … is our country better with this or not better with it? And I feel that we are.'" — Brady defends controversial provision. WSJ's Richard Rubin: "Rep. Kevin Brady (R., Texas) defended a piece of the tax bill that has come under scrutiny over the past few days that allows capital-intensive companies to get the full 20% deduction for pass-through firms. Although the final bill uses the Senate’s structure for pass-through businesses, it includes a House idea of allowing firms to qualify based on their capital assets instead of just on how much they pay in wages. 'This was a provision that we have fought for, [that] we thought was important,' said Mr. Brady, chairman of the House Ways and Means Committee. 'We want to encourage businesses, pass-through businesses that do a lot of capital investment for growth – energy, advanced manufacturing, telecom. They may be making major investments but without tons of workers that accompany that.' The provision also benefits real estate investors. Mr. Brady said the idea that Sen. Bob Corker (R., Tenn.) was involved is 'baloney.'" — Tax Foundation: Bill costs $448 billion. Washington Examiner's Pete Kasperowicz: "The Tax Foundation on Monday said the final GOP tax bill would increase the national debt by $448 billion over the next decade, far less than the estimated $1.5 trillion in lost tax revenues under the bill. The Tax Foundation said under its dynamic scoring model, the tax cuts Republicans hope to pass into law this week would increase GDP by 1.7 percent over the decade. It would also increase wages by 1.5 percent, and create 339,000 jobs. Those changes would return $600 billion in tax revenues to the government due to increased growth, and the group said even more would be returned due to other factors." — House unveils $81 billion aid bill. Politico's Sarah Ferris and John Bresnahan: "The House on Monday night disclosed the details of a staggering $81 billion disaster aid package, the largest single funding request for natural calamities in U.S. history. If approved, Congress will have spent more than $130 billion on a spate of deadly hurricanes and wildfires this fall, outpacing the total amount of aid after both Hurricanes Katrina and Sandy. The funding bill is split among Texas, Florida, Puerto Rico and the U.S. Virgin Islands, as well as states ravaged by wildfires. The bill contains tens of billions of dollars each for FEMA and Community Development Block Grant programs, and $12 billion for reconstruction projects by the Army Corps of Engineers. It also contains several billion for education programs, highway rebuilding, small business loans and military construction projects." McConnell vowed last week that Republicans wouldn't allow the government to shut down." — Scott a likely no on Garrett. McClatchy's Emma Dumain: "Sen. Tim Scott is likely to vote against Scott Garrett to lead the Export-Import Bank on Tuesday morning. It would be the first time the South Carolina Republican voted against the wishes of his party and the Trump administration on a presidential nominee. 'At the end of the day, I have to make my own decision based on what I think is best for the country and for business and frankly, I’m not any more convinced than I was before that Mr. Garrett is right for the opportunity' Scott told McClatchy on Monday night, the eve of the scheduled Senate Banking Committee vote on Garrett’s nomination. Scott alone will not doom Garrett’s nomination from reaching the Senate floor. With the panel’s Republican-to-Democrat ratio 12-11 and all Democrats expected to vote 'no,' Republicans could only afford one defection and Sen. Mike Rounds, R-S.D., is already on the record saying he plans to oppose Garrett on Tuesday. Scott’s opposition would strengthen the case against Garrett among other Republicans in the Senate who support the agency and fear President Donald Trump is touting Garrett for the purposes of dismantling it. Next year, there will be 51 Republicans in the Senate, making the margin for success for the GOP even more precarious than it is now." 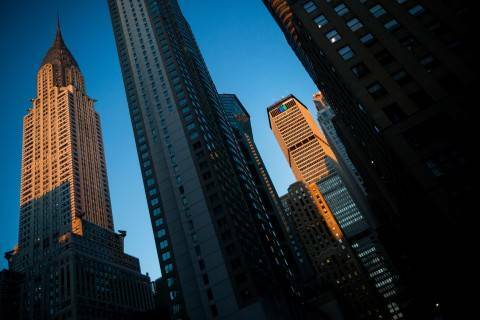 House bill would deregulate both domestic and foreign banks that control trillions of dollars of combined assets, reducing financial stability and tying the hands of regulators to reapply heightened standards in the future. With tax reform close to the finish line, bankers are still clear winners from the compromise worked out between House and Senate negotiators. But the bill includes some caveats that might give institutions pause. 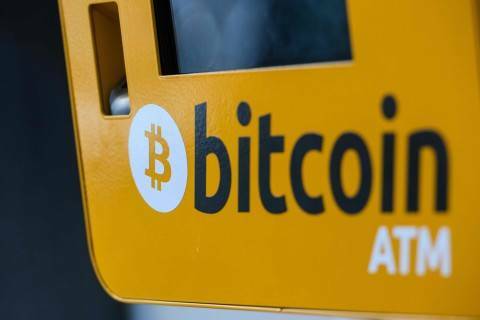 Bitcoin's debut on a second major exchange in the U.S. lacked the excitement — and the price gains — of the first. 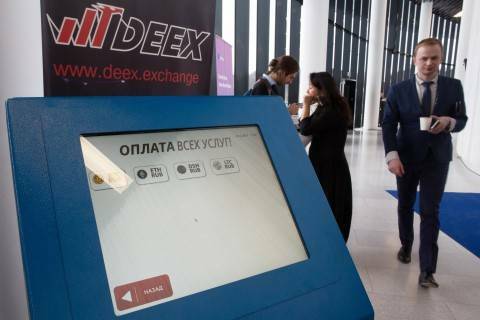 New futures contracts based on the price of the digital currency began trading Sunday on the Chicago Mercantile Exchange, a week after bitcoin futures launched on rival exchange Cboe. 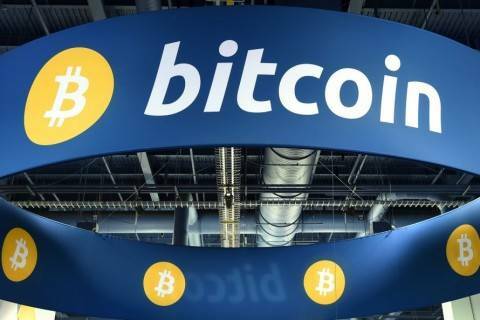 Fintech plus cryptocurrency equals about $7 billion. — Trump, Mueller teams to meet. The Post's Devlin Barrett, Josh Dawsey and Carol D. Leonnig: "White House lawyers are expected to meet with special counsel Robert S. Mueller III’s office late this week seeking good news: that his sprawling investigation’s focus on President Trump will soon end and their client will be cleared. But people familiar with the probe say that such assurances are unlikely and that the meeting could trigger a new, more contentious phase between the special counsel and a frustrated president, according to administration officials and advisers close to Trump. The dynamic threatens to intensify the already inflamed political atmosphere enveloping the investigation into Russia’s meddling in the 2016 election. Even as White House lawyers have pledged to cooperate with Mueller, Trump and his allies have accused the Justice Department and FBI of bias and overreach." — FBI warned Trump about Russia in 2016. NBC's Ken Dilanian, Julia Ainsely and Carol E. Lee: "In the weeks after he became the Republican nominee on July 19, 2016, Donald Trump was warned that foreign adversaries, including Russia, would probably try to spy on and infiltrate his campaign, according to multiple government officials familiar with the matter. The warning came in the form of a high-level counterintelligence briefing by senior FBI officials, the officials said. A similar briefing was given to Hillary Clinton, they added. 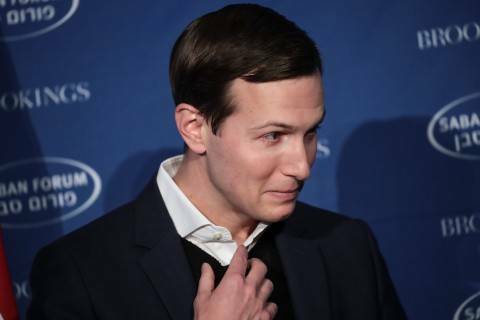 They said the briefings, which are commonly provided to presidential nominees, were designed to educate the candidates and their top aides about potential threats from foreign spies. The candidates were urged to alert the FBI about any suspicious overtures to their campaigns, the officials said. The briefings were led by counterintelligence specialists from the FBI, the sources said. They were timed to occur around the period when the candidates began receiving classified intelligence, the officials said, which put them at greater risk for being targeted by foreign spies. Trump's first intelligence briefing as Republican nominee was Aug. 17, 2016, sources told NBC News at the time." The story of Kushner Cos.’ NYC expansion is one of soaring ambition and savvy public relations. Just because you call something a currency doesn't mean it is one. Regulators in Massachusetts and New York State said on Monday they are probing MetLife Inc after the insurer revealed last week it had failed to pay pensions to potentially thousands of people. The Senate Committee on Banking, Housing and Urban Affairs holds an executive session on nominations for the Export-Import Bank. President Trump presents his "new national security strategy:"